“There’s more than a million human beings that are being affected by this … but there’s just no possibility of getting to everybody,” said Gregory Carr, director of Gorongosa National Park. 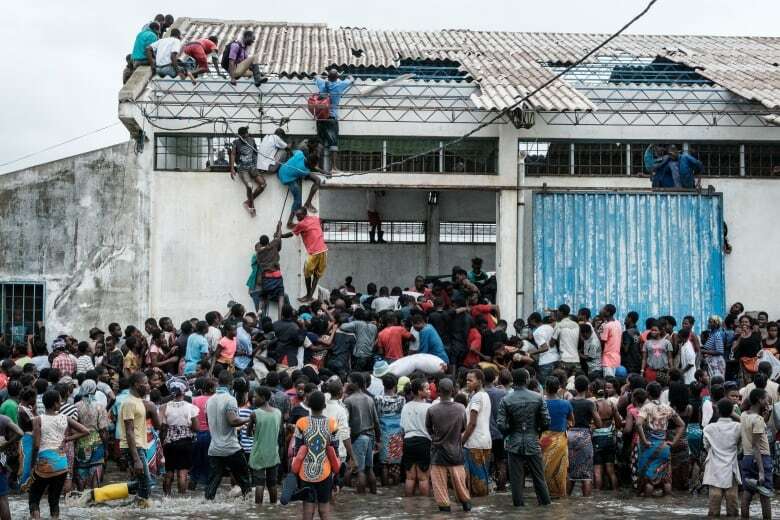 Since Cyclone Idai made landfall on March 14, aid workers say parts of Mozambique have turned into “inland oceans“ with flood waters up to six metres deep. More than 500 people have died in Mozambique, Zimbabwe and Malawi and the death toll is expected to reach at least 1,000. It’s estimated that 90 per cent of Beira — the fourth-largest city in the country and the hardest hit — has been destroyed. “The people who live around Gorongosa National Park are some of the poorest people in the world. They live in stick houses — there’s no other way to describe it,” Carr told Day 6host Brent Bambury. According to the national park’s website, most major aid and rescue services in Mozambique are prioritizing flooded areas to the south. That’s why park rangers have begun their own grassroots effort to rescue “neighbours,” often wading through waist-deep water for hours or travelling in a single helicopter. “We’ll use a big tractor to haul a boat to the river, get across the river, get supplies and then these rangers might walk 10 kilometres with 50 kilograms of supplies on their back,” Carr said. “At a time like this, you have to worry about cholera,” Carr said. “It really is rethinking our relationship to the natural world. A city shouldn’t be built below sea level in the first place,” he said. “We’re going to be resilient and we’re going to just keep going,” he added. To hear the full interview with Gregory Carr, download our podcast or click ‘Listen’ at the top of this page.